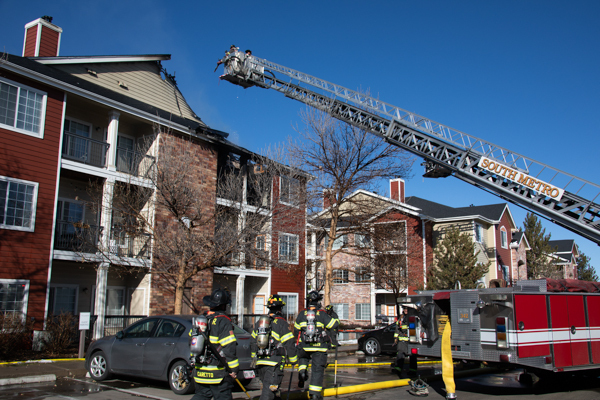 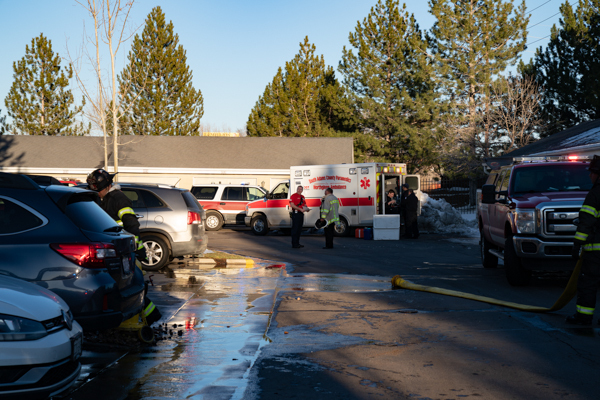 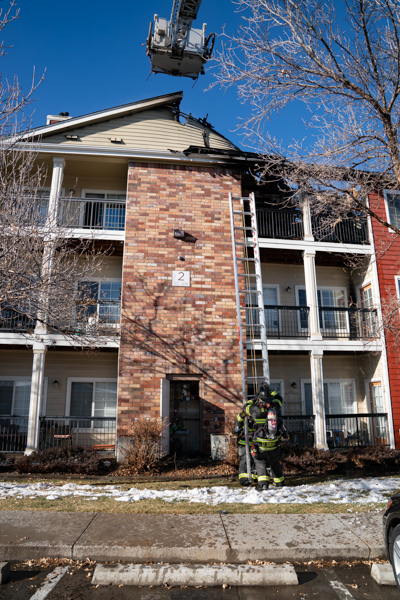 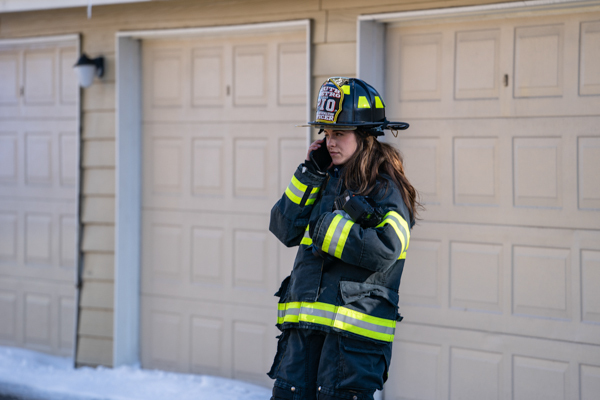 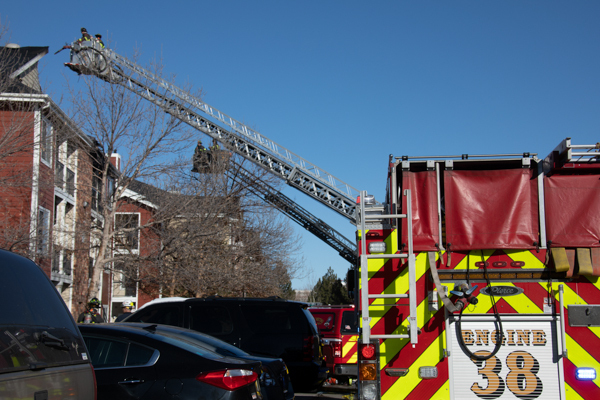 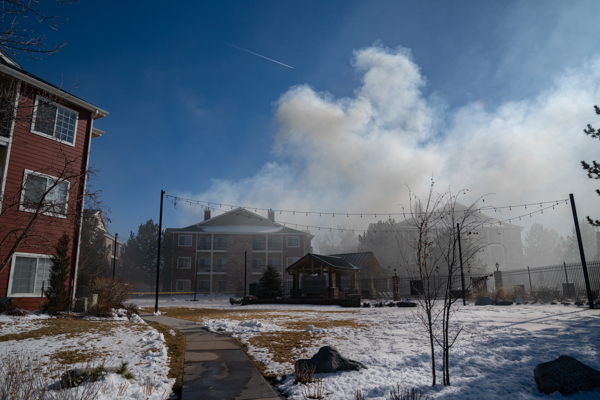 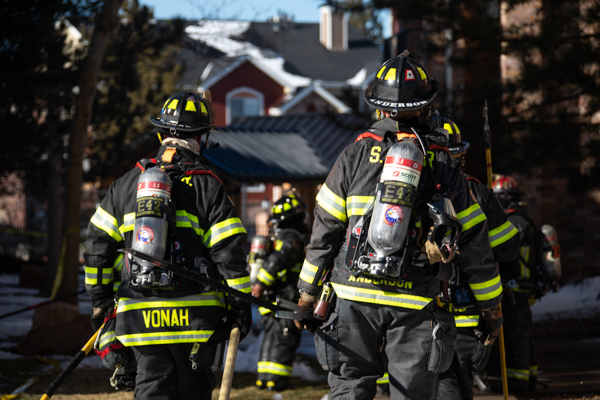 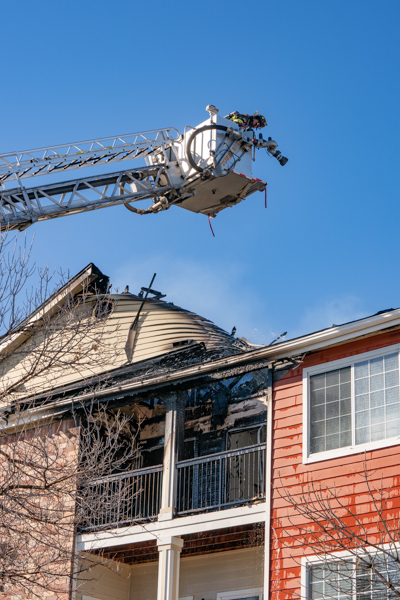 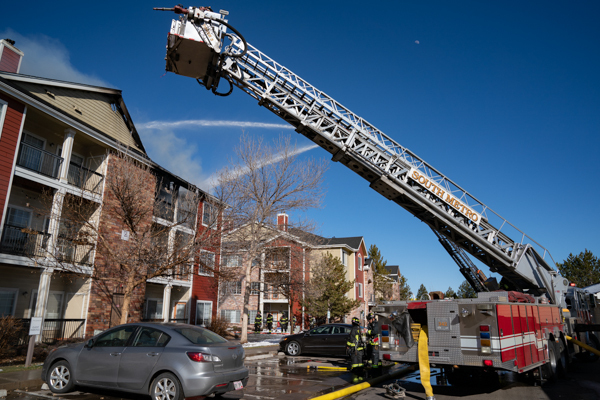 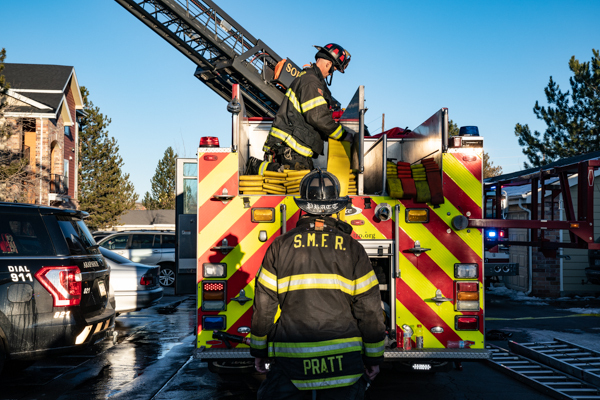 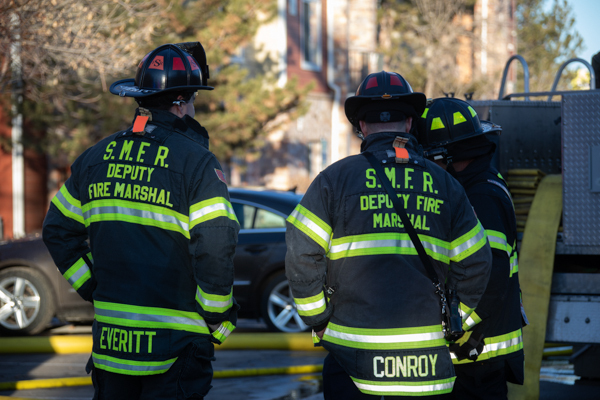 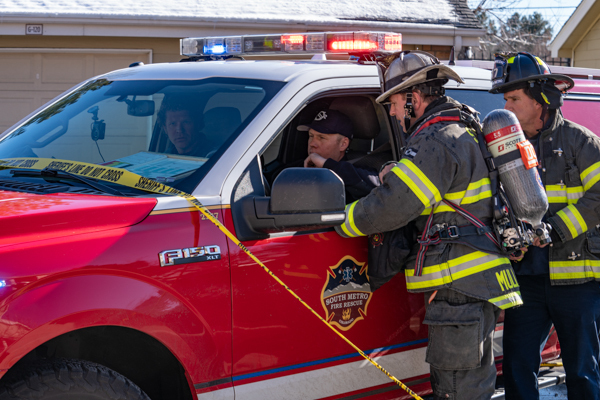 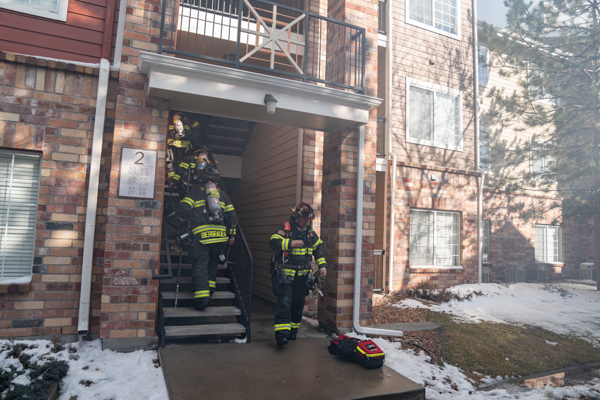 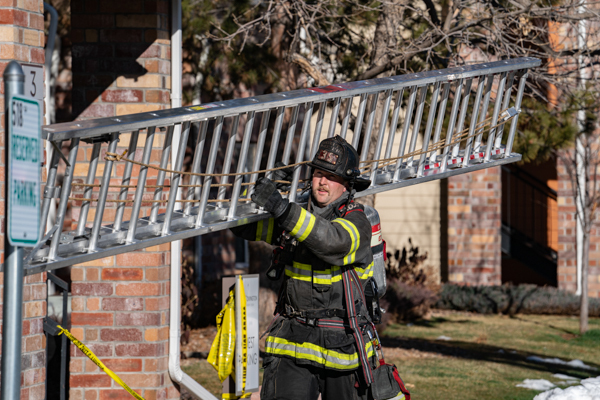 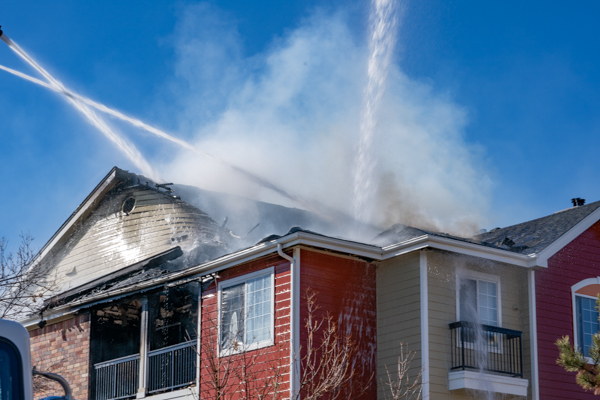 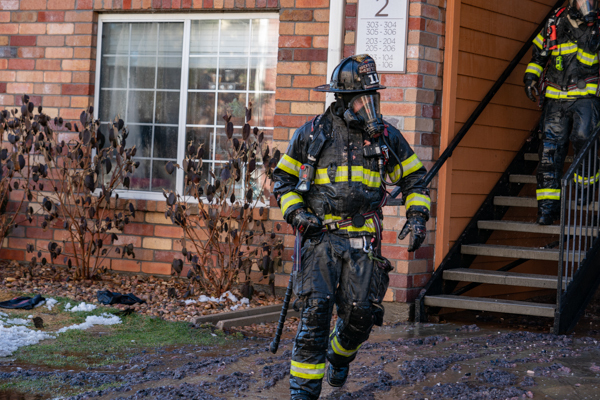 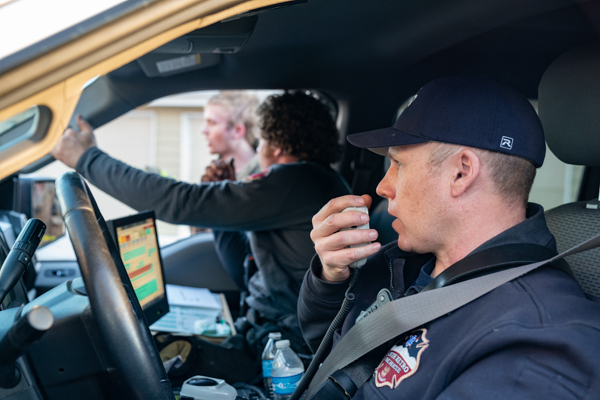 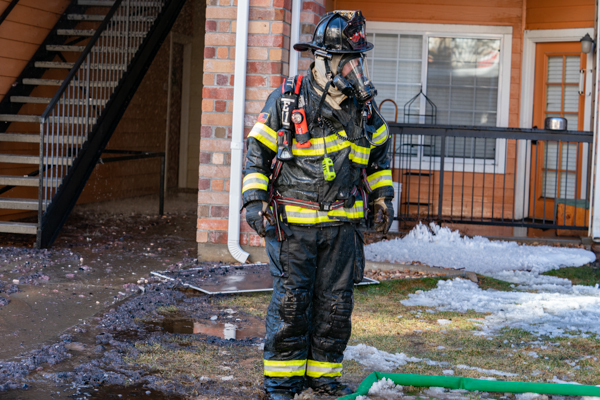 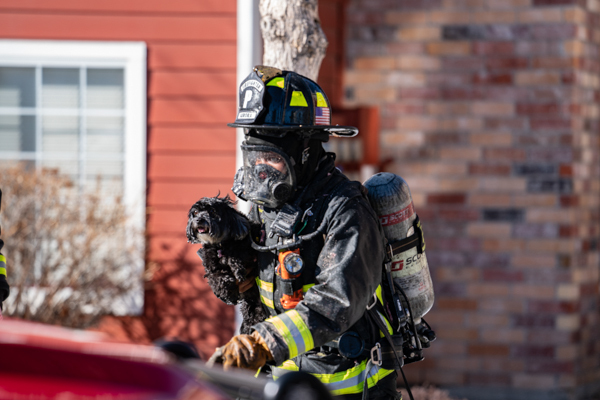 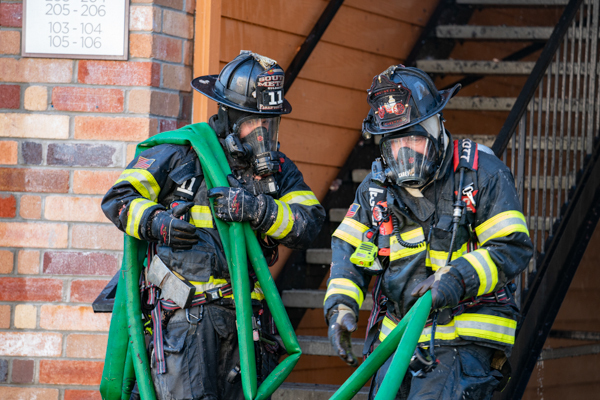 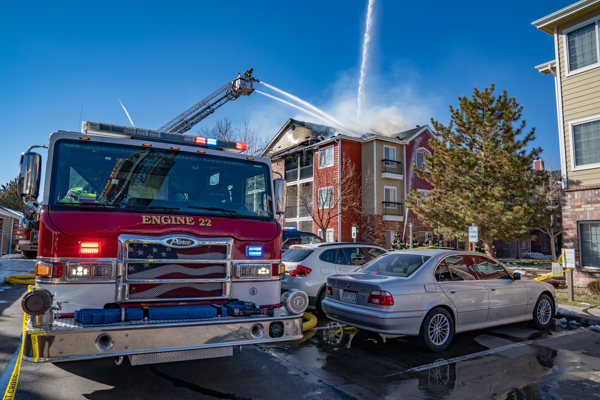 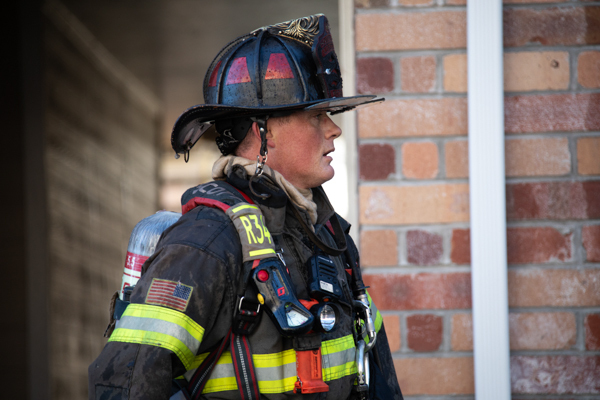 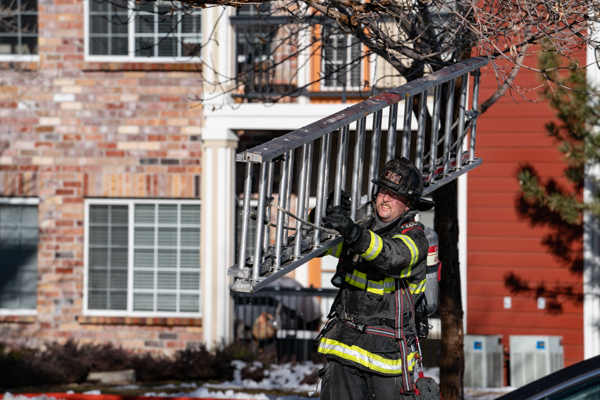 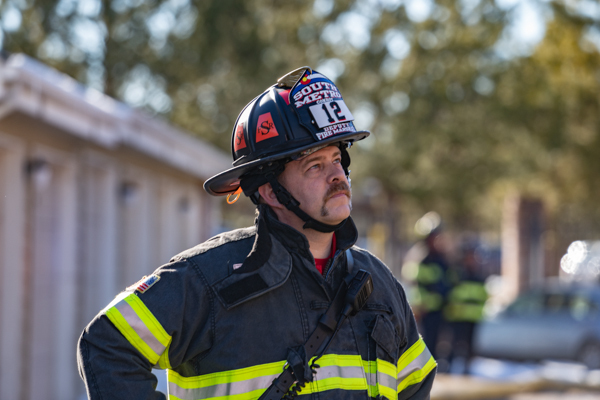 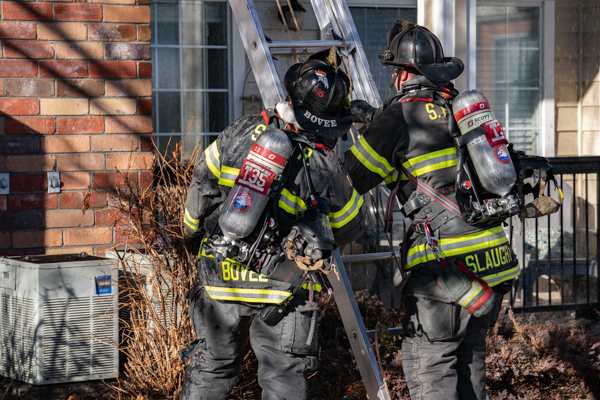 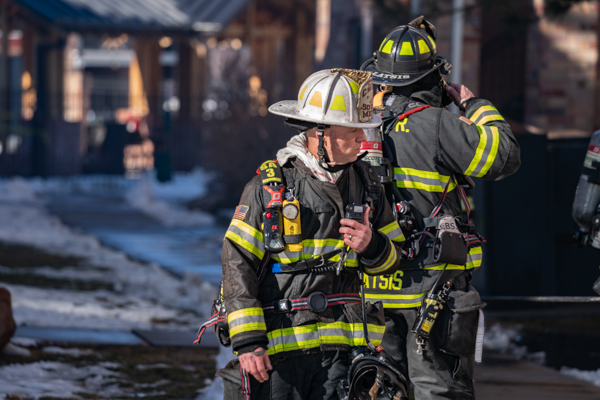 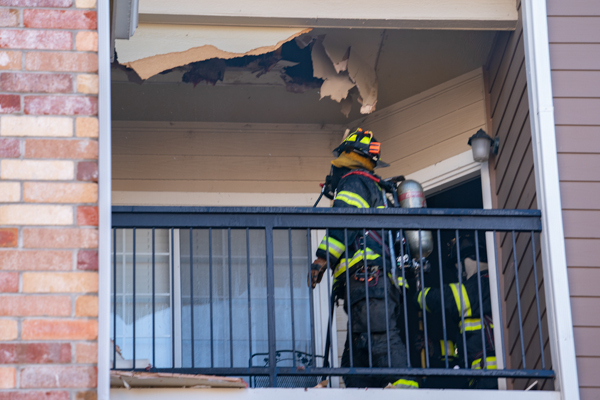 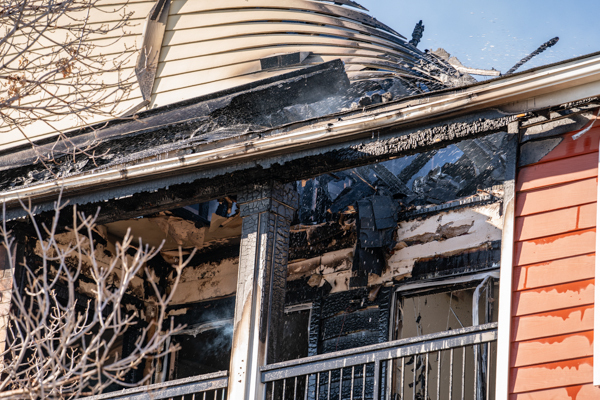 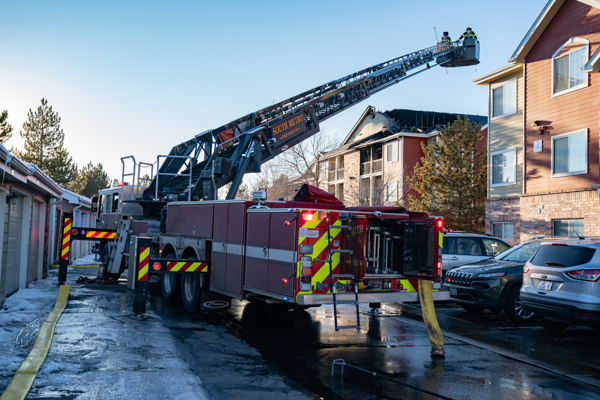 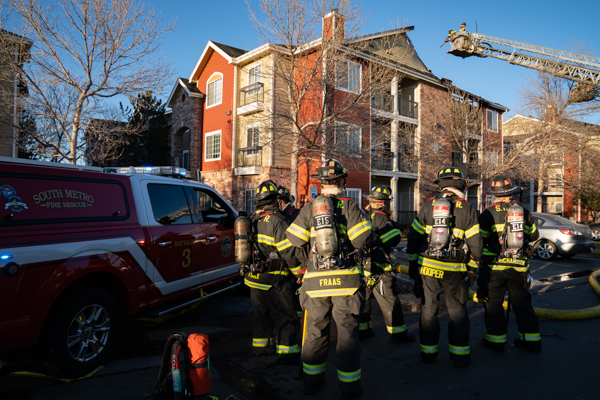 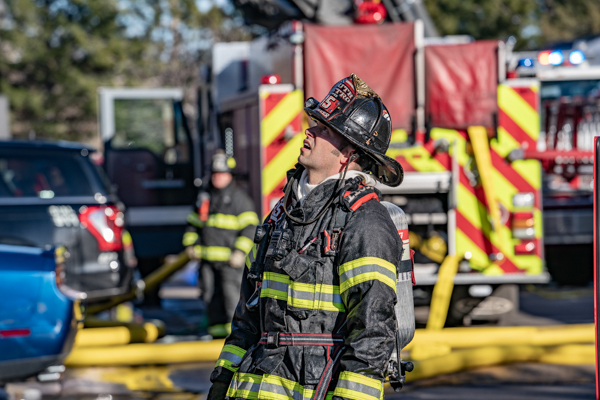 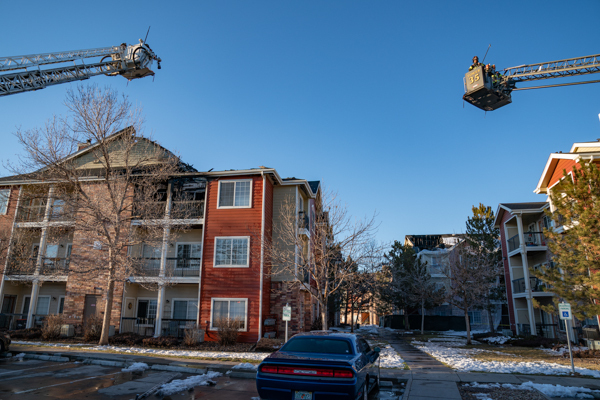 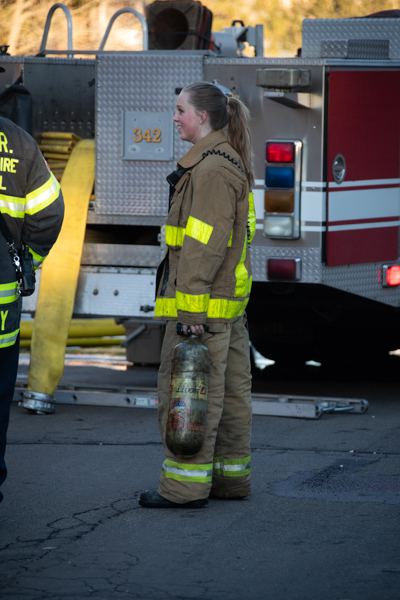 At 15:56 on March 15th, 2019 MetCom received multiple reports of an apartment fire at Covington at Cherry Creek, located at 2172 S. Trenton Way in Arapahoe County. 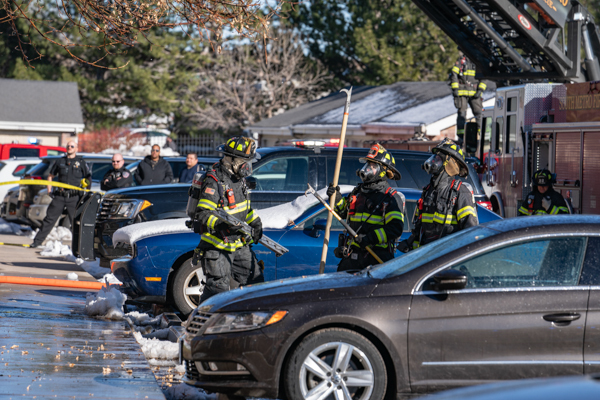 While responding, 911 callers reported people trapped, companies reported a plume of smoke in the air and a 2nd Alarm was transmitted. Upon arrival Engine 22 reported heavy fire showing from the 3rd floor A/D corner of building 2 that already extended into the attic. 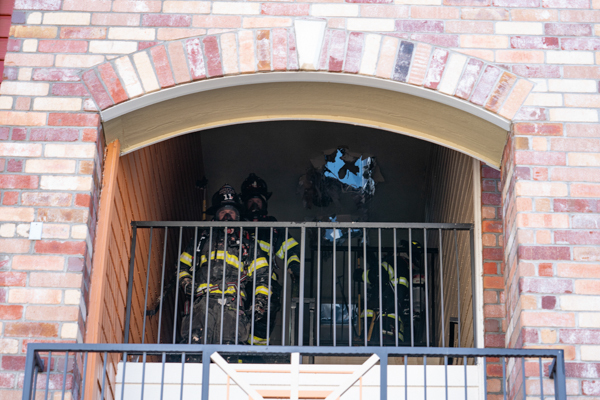 The crew advanced a 2.5” and initiated a transitional attack. 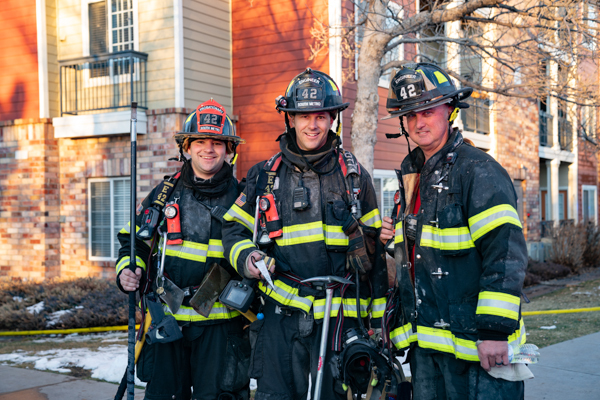 Aurora Engine 11 secured a second hydrant and supplied a horizontal standpipe for offensive attack and primary searches with Engine 38 and Medic 211 while Medic 21 prepared for possible patients. 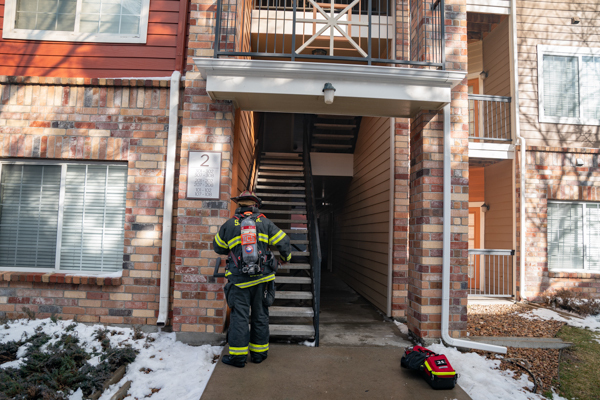 Battalion 3 assumed command on the A/B corner of the building and Level 2 Staging was established on the west side of Trenton Way in a large parking lot. 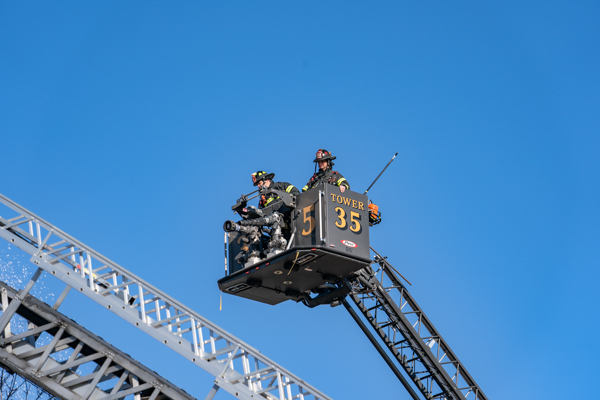 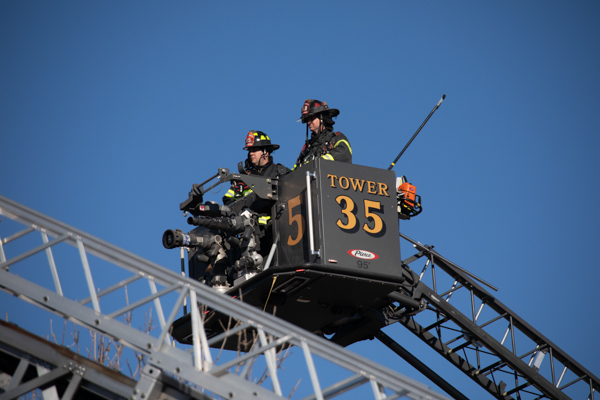 Tower 32 and Tower 35 spotted on the alpha side and prepared for roof operations while Engine 22 controlled fire on the 3rd floor and completed searches, all proved negative. 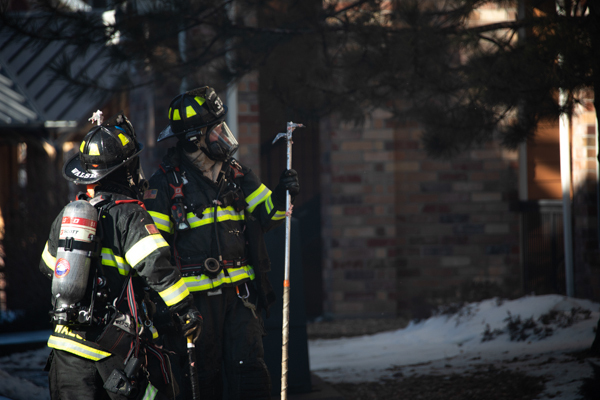 Safety transmitted to all companies this was a wind driven fire event with heavy attic involvement. 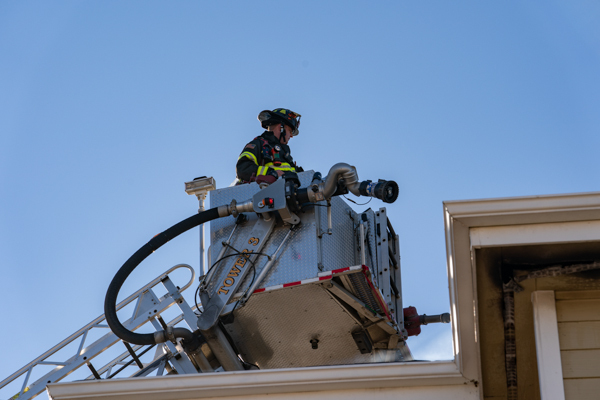 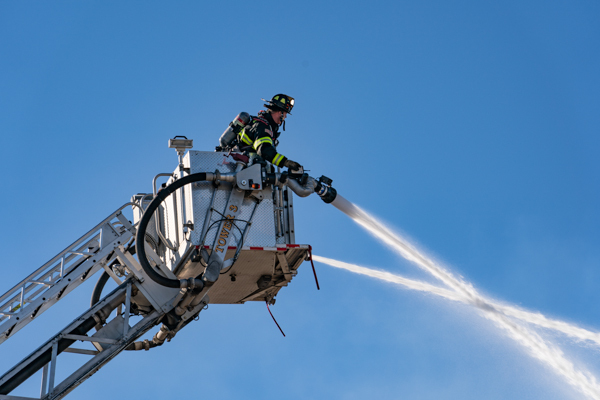 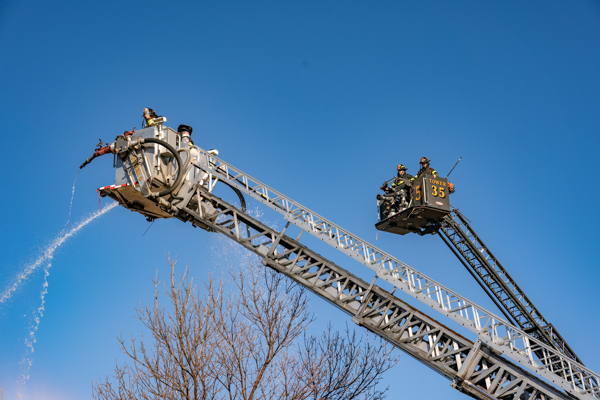 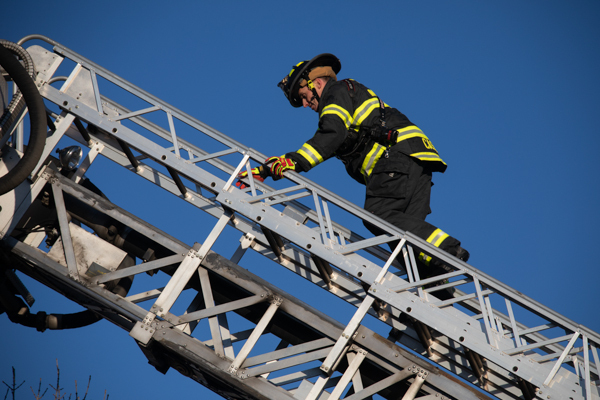 The fire self-ventilated through the roof and command transitioned to a defensive strategy with aerial master streams. 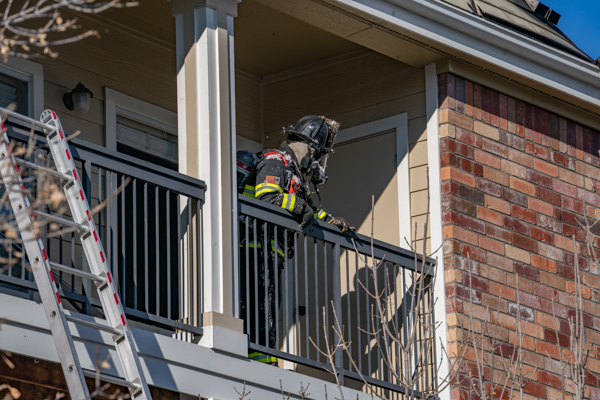 During the withdrawal from the structure a firefighter suffered a leg injury and was transported to the hospital non-emergent. 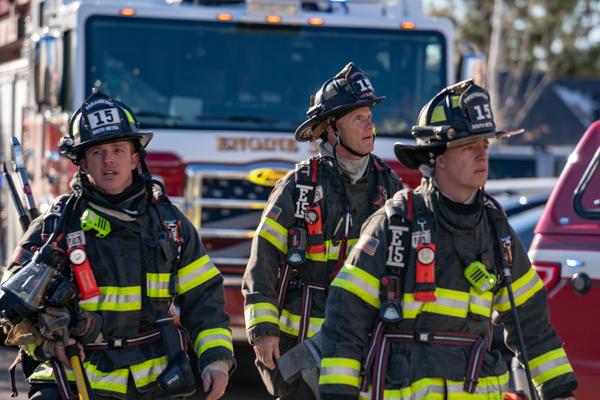 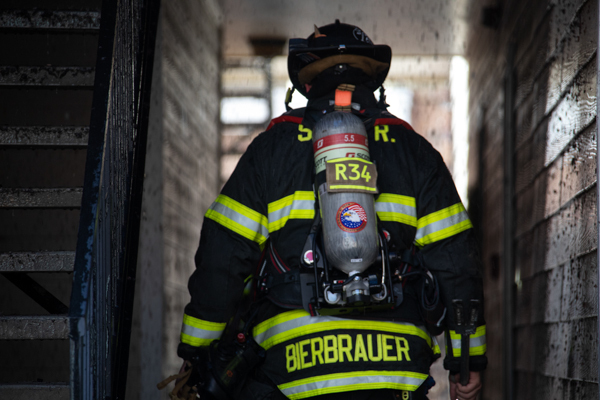 Battalion 5 was assigned as the Charlie Division with Safety 10; Battalion 3 was assigned as the Bravo Division with Safety 11 and Safety 35 assisted command with accountability. 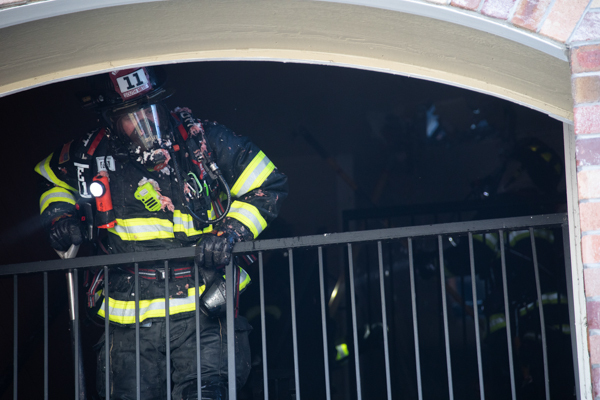 Charlie Division identified the location of a firewall and companies were successful in containing the fire to the alpha side. 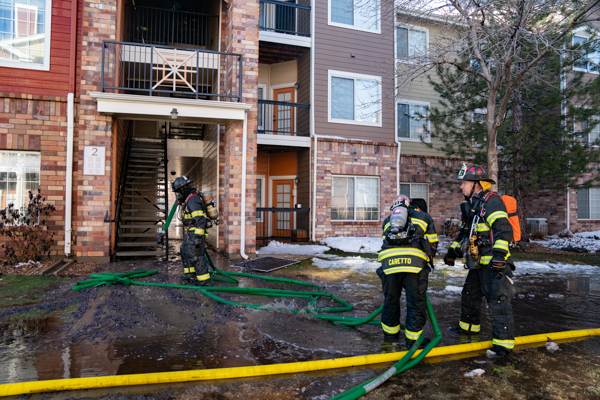 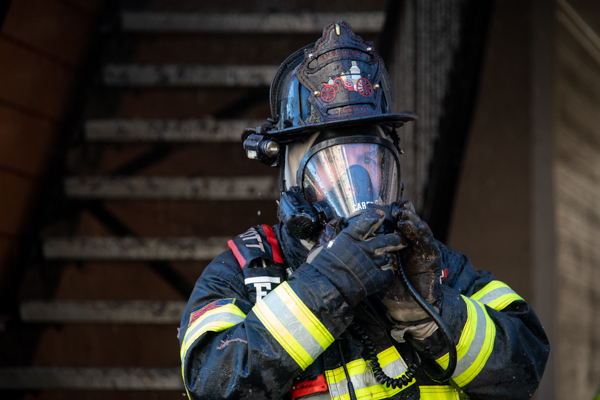 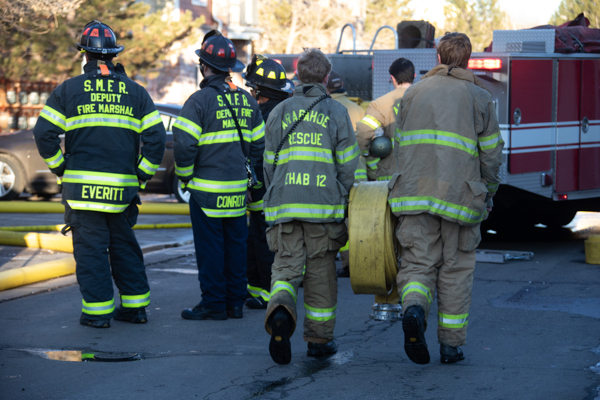 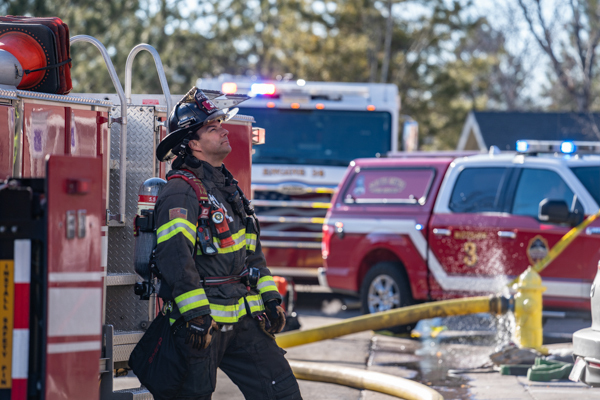 Once all visible fire was knocked down, command transitioned to an offensive strategy and crews worked to extinguish the last of the fire from the interior. 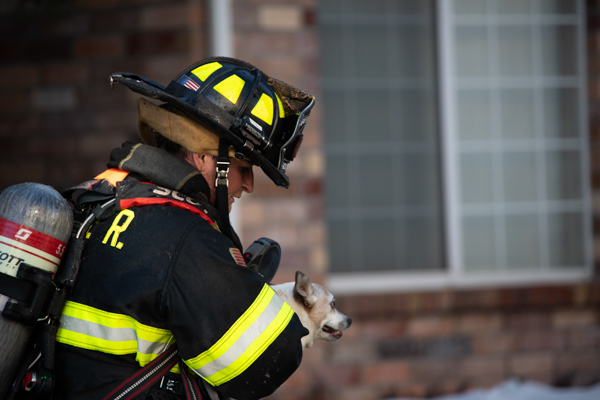 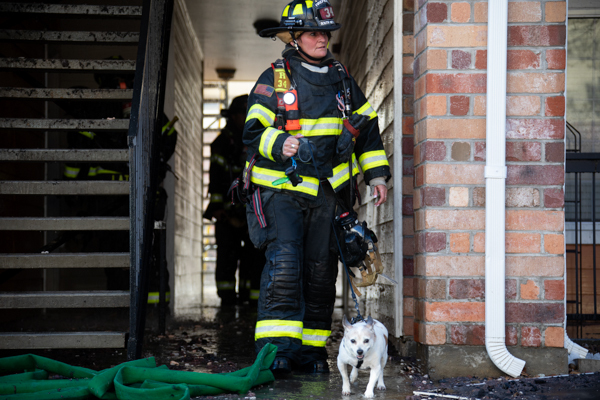 All secondary searches proved negative and many dogs and cats were brought to safety and reunited with their humans. 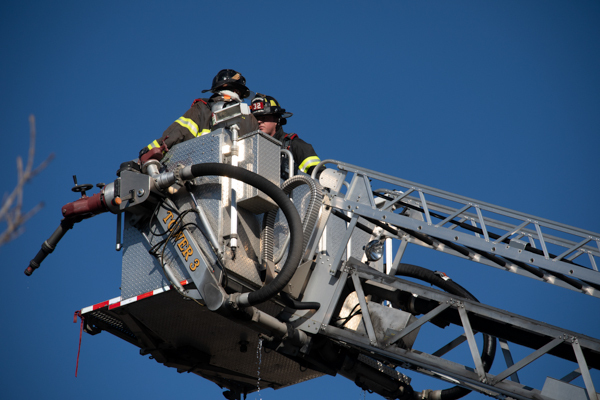 The incident was declared under control at the 70-minute mark with no civilian injuries. 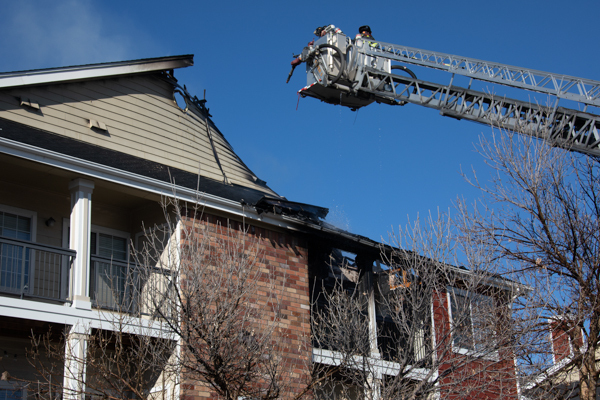 Investigators are working to determine the cause of the fire. 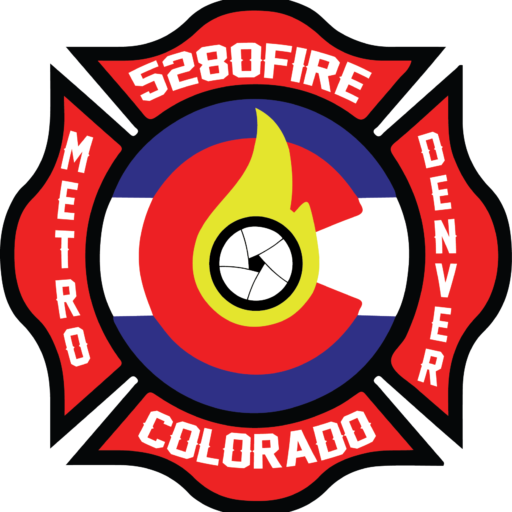 Additional info provided by South Metro Fire Rescue.